Job seekers may underestimate the power of sending a simple, well-written thank you letter after a job interview. Some think that employers don’t expect or appreciate a thank you and wonder whether it is worth the effort. Apparently, employers disagree. A recent survey of 300 employers shows that 80 percent describe the thank you messages they received after an interview as either somewhat or very helpful; yet, only 24 percent of candidates bother sending a letter. Some people embrace the practice of expressing gratitude with a few well chosen words whether by letter, email, by LinkedIn message or endorsement. It can be an effective way of making a lasting positive impression and reminding people of your thoughtfulness and likability. During the job search process, there are many opportunities to express gratitude. Acknowledging a helpful administrative assistant, a resourceful network contact, a referral to a job, or even your employment counsellor can be a valuable way of solidifying a relationship that may serve you for a long time into your career. Thank you notes are almost always a good idea. 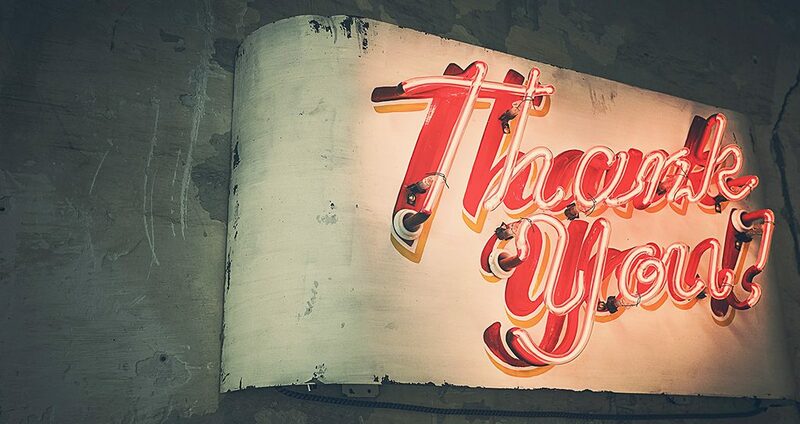 Whether the interview went well or not, whether you got the job, or even whether you don’t want the job, that should not impact your decision to write a thank you note. If a person has dedicated time and effort to help you with information or spent time considering you for position, send them a note. That includes the person who conducts the pre-screening interview on the phone. Think of it as paying it forward; feeling appreciated is a powerful force that strengthens your ties to others in your network. Send your email as soon after the interview as possible – preferably within 24 hours. Keep the email brief, well-punctuated and carefully spell-checked. Send a separate email to each person who interviewed you. If you cannot, at least mention each interviewer by name. Remind the reader about the job title and day of the interview – either in the email subject or in the email itself. Thank the person for their time and effort. Restate your interest and enthusiasm in the position and the company. Briefly point out why you are a good match for the position. If you can, personalize the note in some way, such as thanking them for a special tip they offered, a conversation that was had, or a comment they made. Offer to answer any further questions or concerns the employer might have. Include your cellphone number to make it easier. For more tips on writing thank you letters, as well as links to samples, check out this blog post .